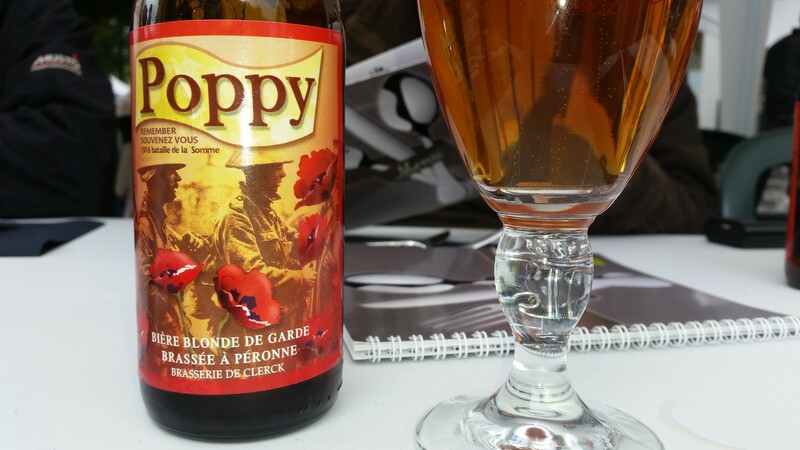 It wasn’t difficult to pick a destination for part three of my WW1 centenary visit series. I could have gone to Verdun. I have been there before and although it is very interesting, Verdun was a strictly French/German battle. I wanted to go somewhere that had a British connection so the Somme was the obvious choice. Hotels within a 100 km radius of the battlefields were of course sold out so, at the end of June, Neil, Mark, Julian, MT and I found ourselves putting up tents on a small campsite on the outskirts of Amiens. Actually it was quite a nice campsite and we comforted ourselves with the thought that 100 years ago, British visitors to this part of France had been forced to settle for rather less. 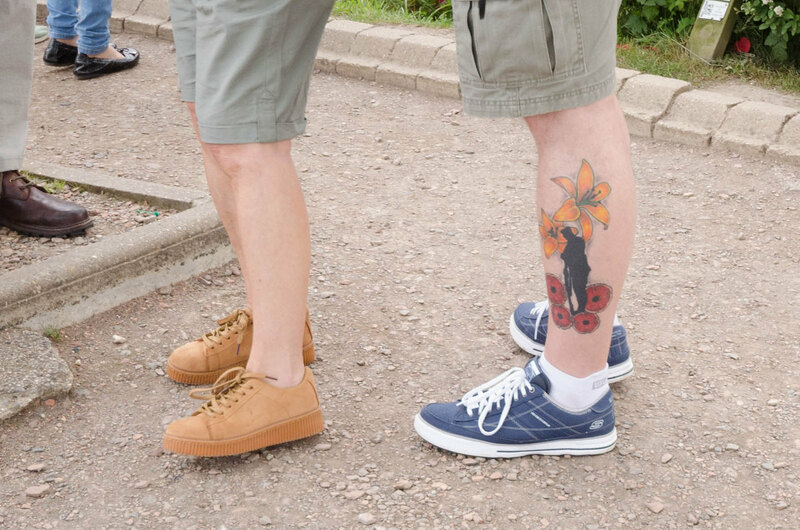 Many of our fellow campers were people who had come for the centenary. Not all of them were British (although many of them were). We met a very gregarious history teacher from Alaska who entertained us in the campsite bar with stories about when he worked as a commercial fisherman. He was very outdoorsy and impressed us with tales of close encounters with wolves, bears and the like. 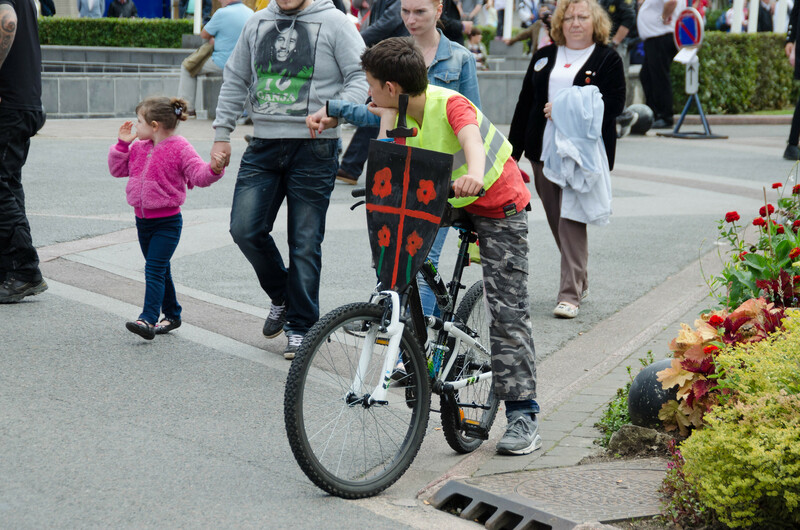 He had just been to Verdun and was headed for Flanders after his Somme weekend. 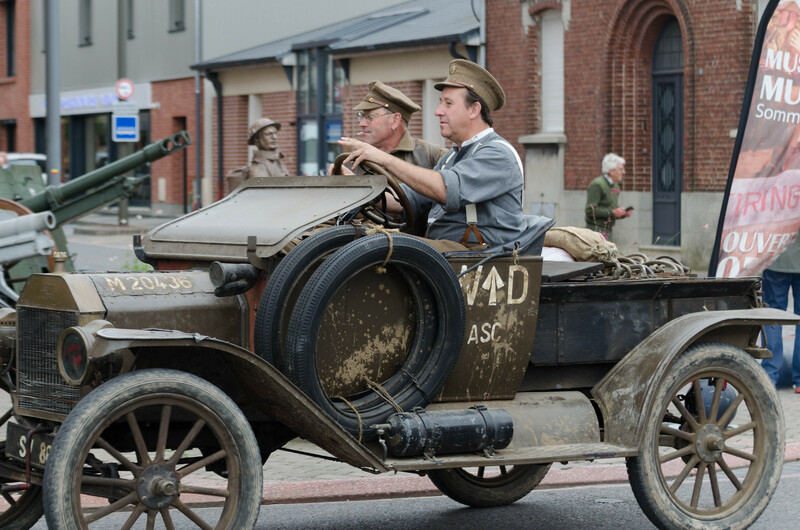 With all of the official events being by invitation only, on the morning of the 1st of July (the day the battle started), we headed to the town of Albert which would have been just behind the allied lines at the start of the battle. On the way there, we stopped at one of the countless small military cemeteries and wandered for a while, reading the inscriptions on the stones. Before we left, we posed for a picture of us all looking solemn. Some of us were trying a bit too hard. The whole town of Albert was in festive mood. Lots of “re-enactment types” were there with their uniforms, vehicles and props. 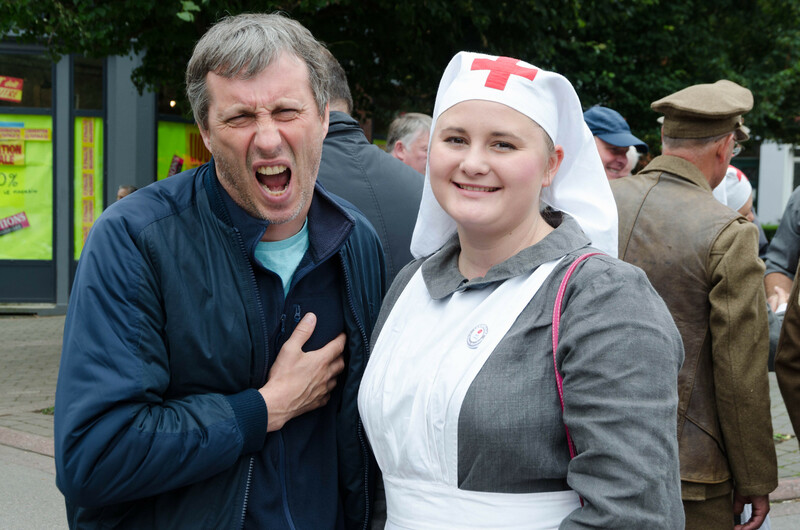 This young lady really is a nurse back in England but (no doubt to the delight of her boyfriend) likes to dress up in antique nurses uniforms in her spare time. Actually her boyfriend was also present, and also dressed in a WW1 costume. They were very friendly and not at all taken in by the attention seeker on the left of the photograph. As well as nurses and soldiers, there were representatives of London Transport, whose double decker buses had been used to carry troops to the front in 1916. 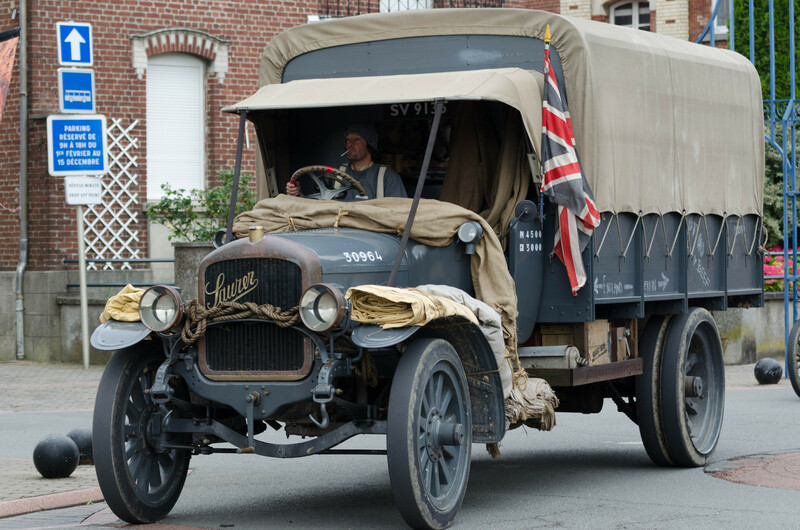 There were also a couple of guys who had come with an ancient lorry and an equally ancient Ford car. 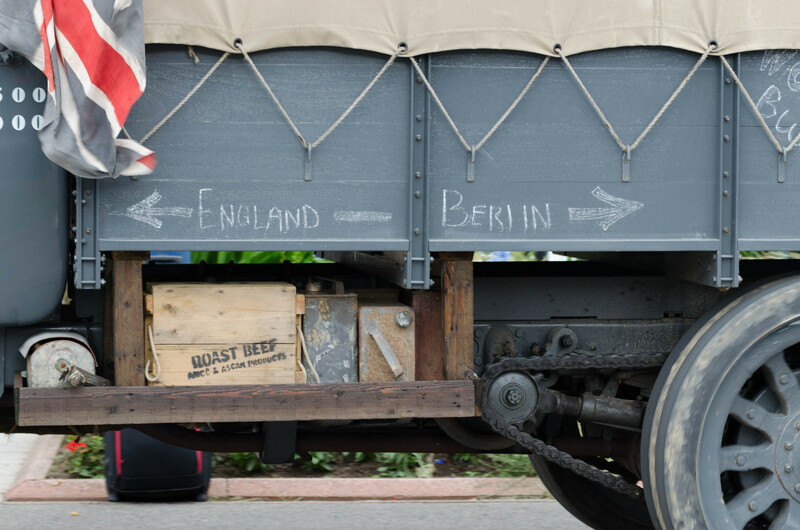 I was a bit puzzled by the England/Berlin markings on the lorry. Surely the directions would have only been correct if they were reversing towards Berlin? 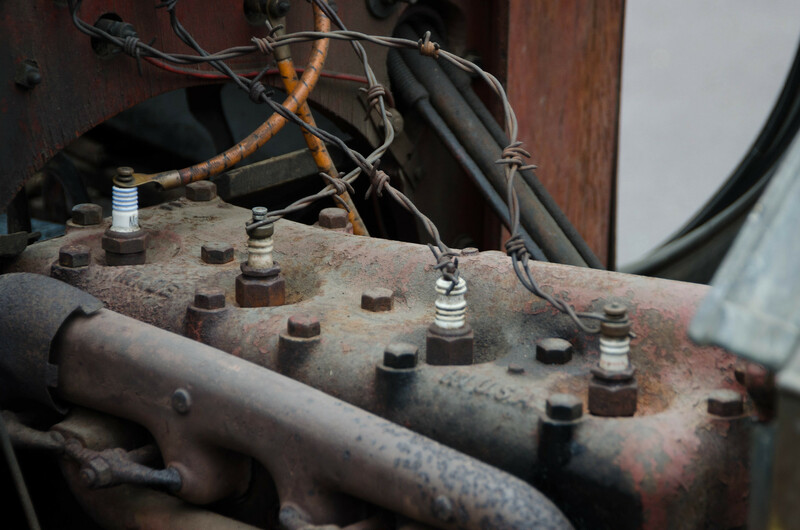 Check out the improvised HT leads! We spent a big part of our time in Albert looking through the exhibits in the excellent “Musée des Abris – Somme 1916”. It is located underneath the church of Notre Dame de Brèbieres. 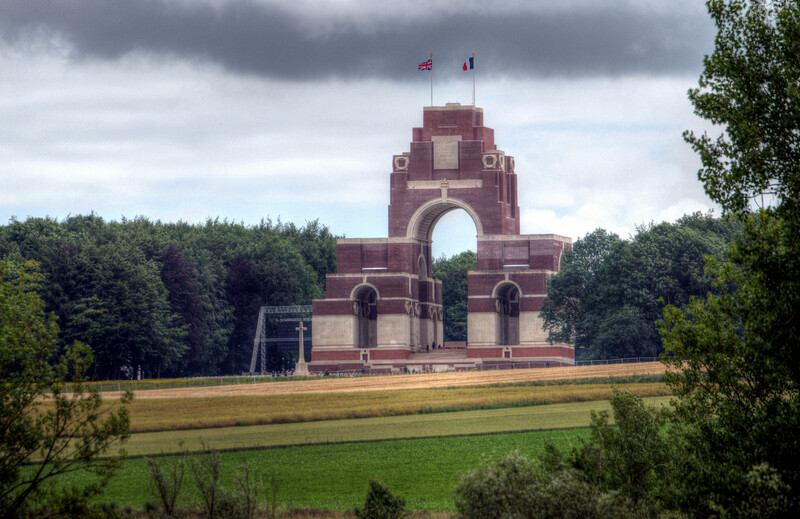 The exit to the museum is in the nearby public arboretum which had been taken over for the day and turned into a public viewing area for the TV broadcasts from the Thiepval Monument. Here politicians, lots of schoolchildren, and quite a few members of the British Royal family were remembering what can happen when neighbors quarrel. Prince Charles was there of course. 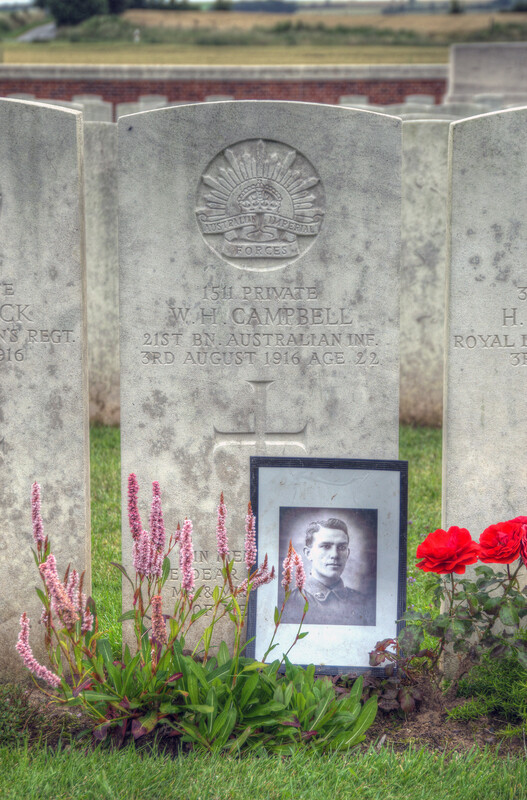 Our paths had almost crossed the previous year in Gallipoli and I was beginning to wonder whether he was following me. 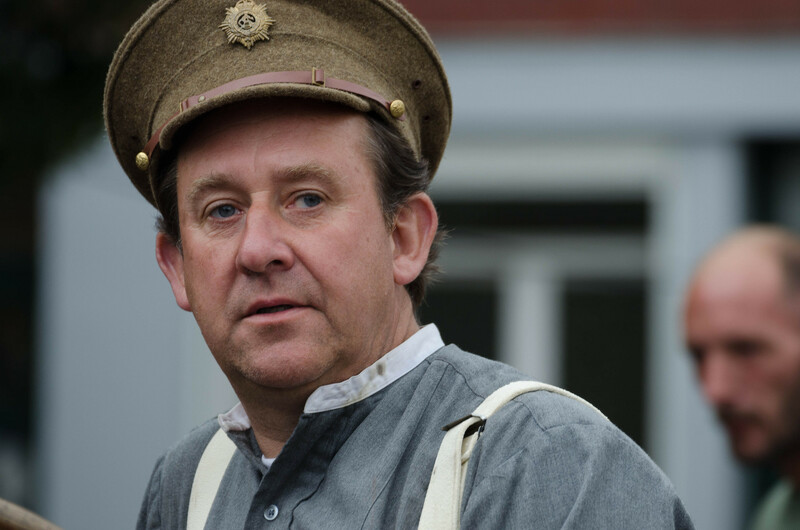 If he shows up next year in Passchendaele I am going to be really suspicious! Tired and starving (it had been at least two hours since breakfast), we were lucky to get a table at a very agreeable restaurant where we spent most of the afternoon eating and sampling the “Poppy” beer. It wasn’t bad but I suspect it was just regular beer with a topical label applied. Albert wasn’t the only place that was celebrating that weekend! 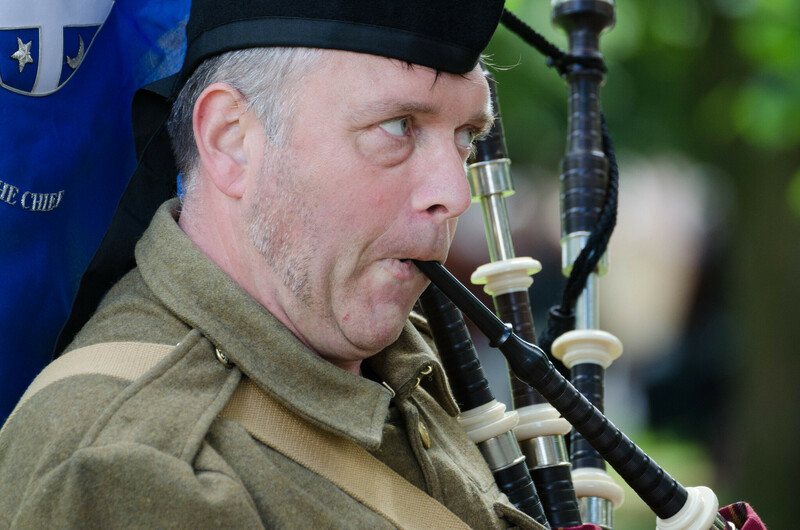 The following day in Amiens we were startled to learn that the Scots do not have a monopoly on bagpipes. 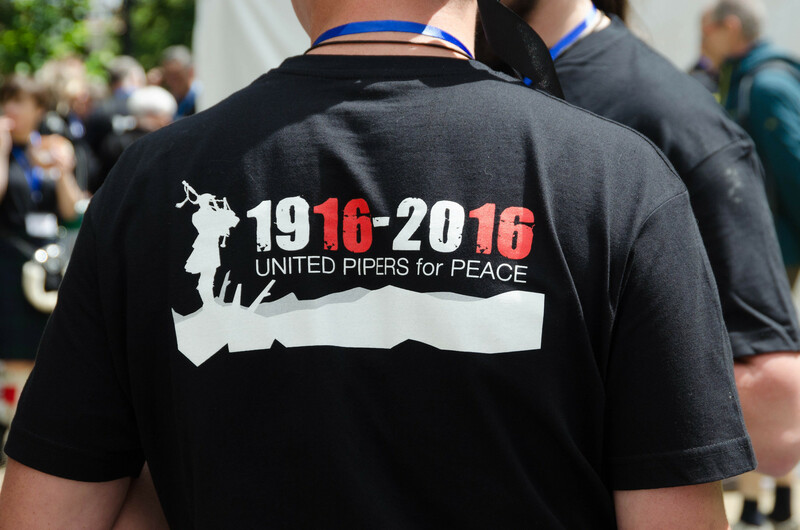 The town center had been invaded by hundreds of “Pipers for Peace” (why did that remind me of Paul McCartney?). They had come from France, Belgium, the Netherlands, England and (believe it or not), as far afield as Scotland! They congregated in groups in the park behind the cathedral practicing making droning noises, and, and intervals marched through the town blasting out their local equivalents of Scotland the Brave. It was actually rather magnificent. 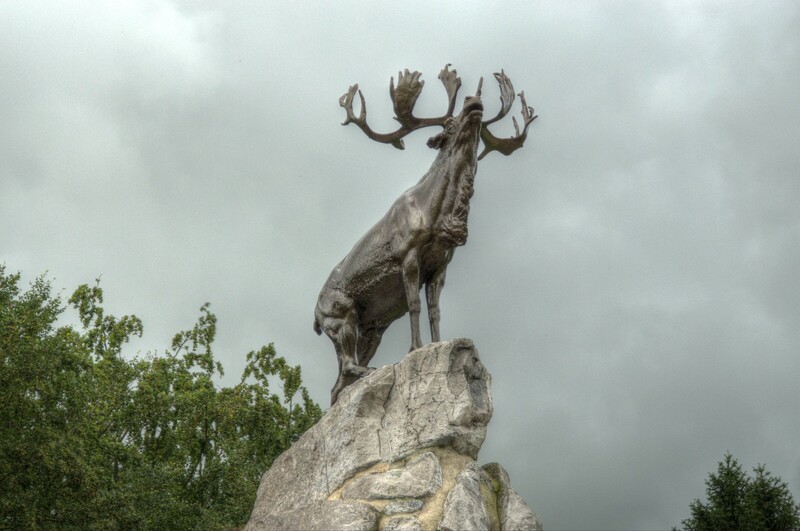 On the Sunday, the last day of our trip, we packed up our tents and headed out to the Beaumont-Hamel Newfoundland Memorial where there was a very informative visitor center and a small army of enthusiastic French-Canadian teenage guides. 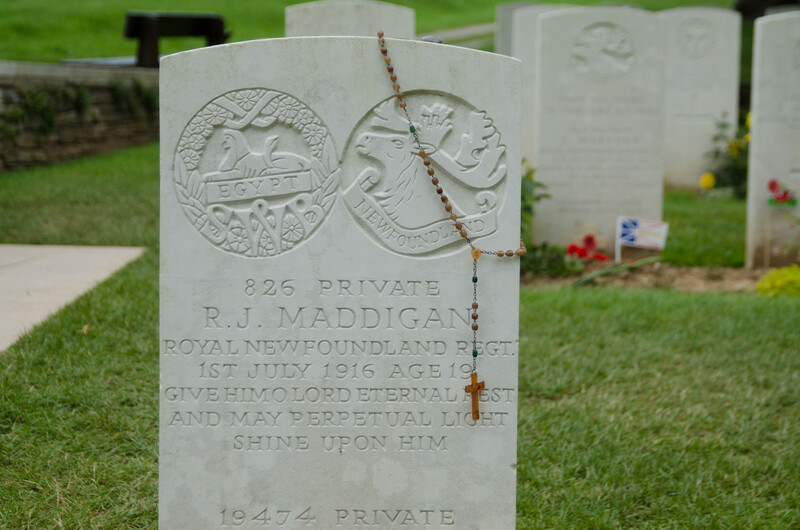 Newfoundland island didn’t become a Canadian province until 1949 and the Royal Newfoundland Regiment were proud to be an independent fighting group in WW1. 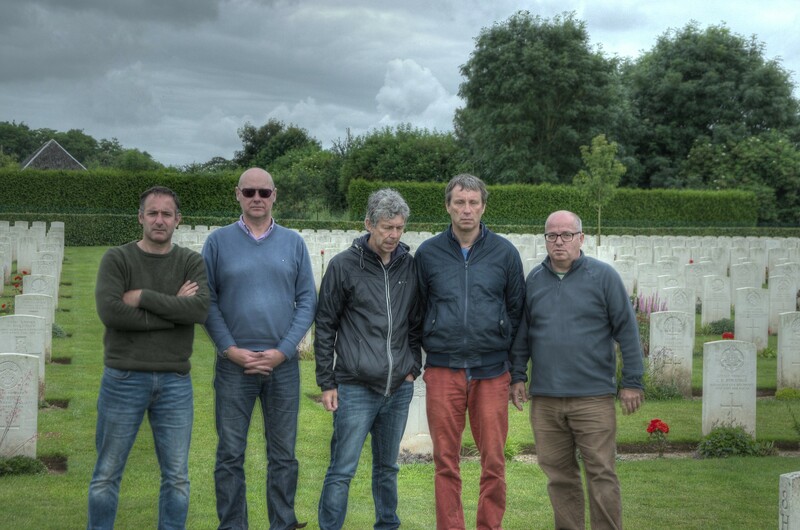 On the 1st of July 1916, 68 men survived from the 753 that went “over the top”. 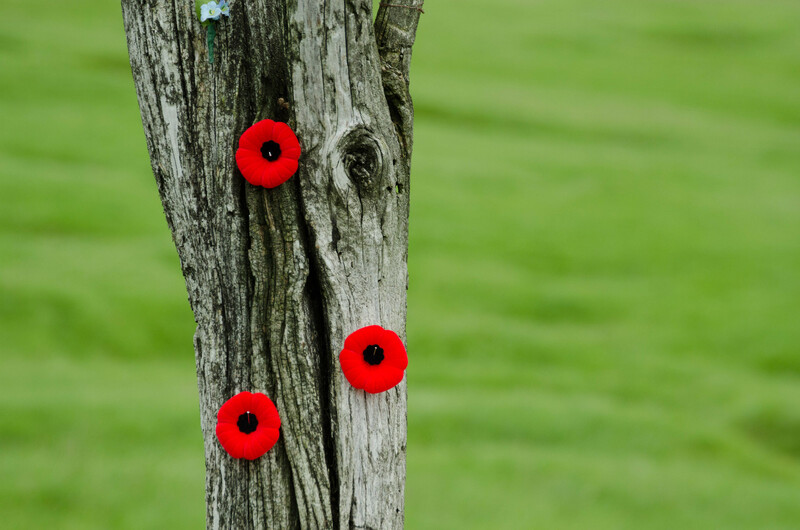 Newfoundland lost a quarter of it’s young men in the war to end all wars. 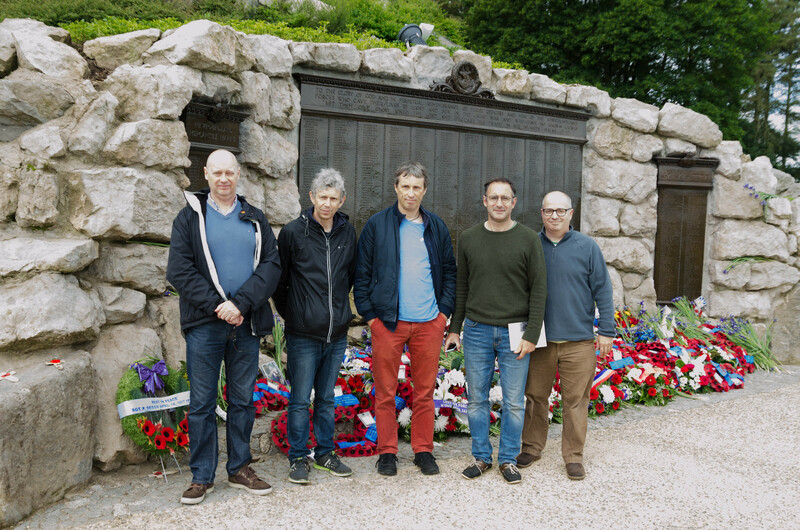 Stopping for one last thoughtful looking group photo, we left Beaumont-Hamel and drove past the iconic Thiepval memorial. It looked empty now that the celebrities had left, but it was still closed to the general public. I am not sure that I like the design of the memorial. Perhaps it is better close up? I much prefer the Menin Gate in Ypres. 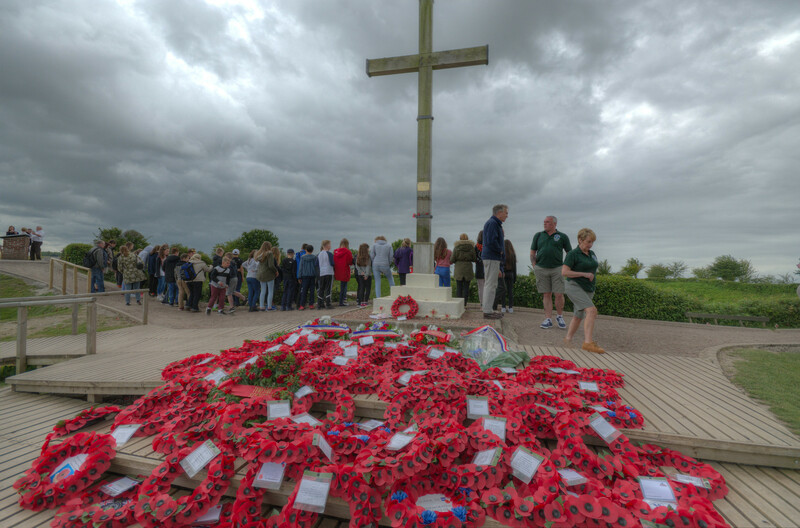 Our final visit was to the Lochnagar crater close to the village of La Boisselle. 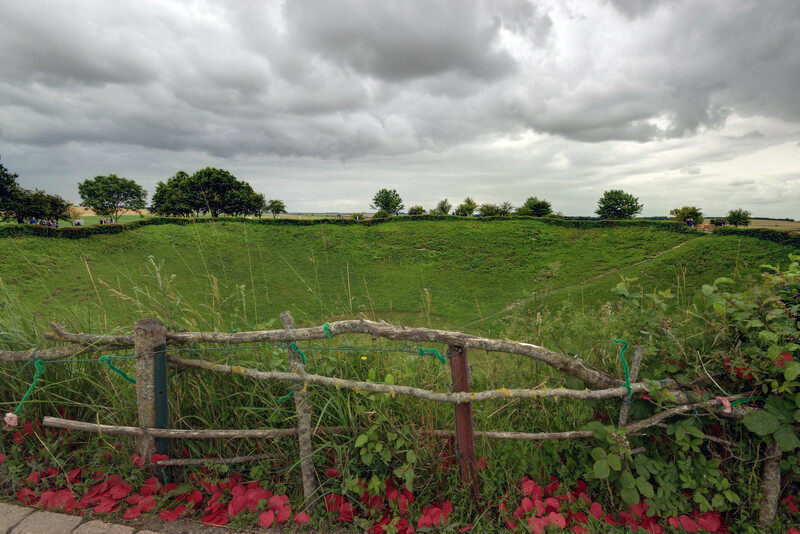 This crater was caused by the detonation of one of several massive mines dug beneath the German front lines. 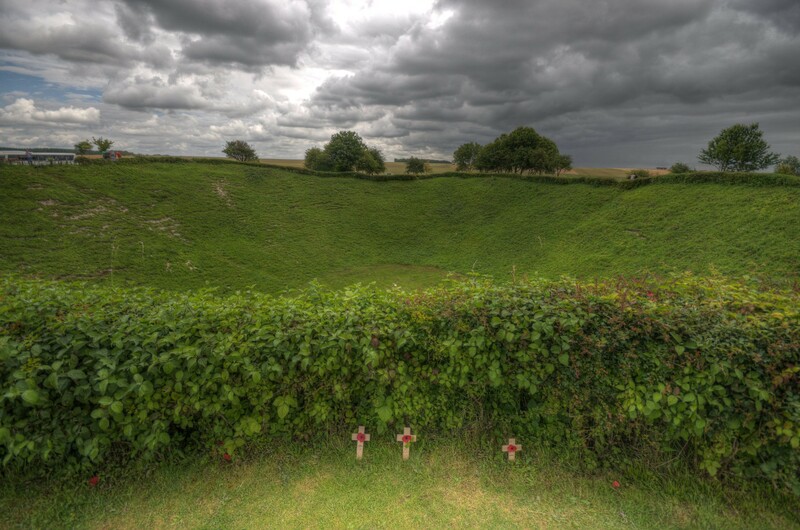 The tunnels leading to the mine took eight months to dig and, at about 7:30 am on the 1st of July, some brave soul lit the blue touchpaper and presumably retired to a safe distance as 27,000 kg of Ammonal high explosive tore an enormous hole in the landscape of Picardie. The bang must have been heard back in England! 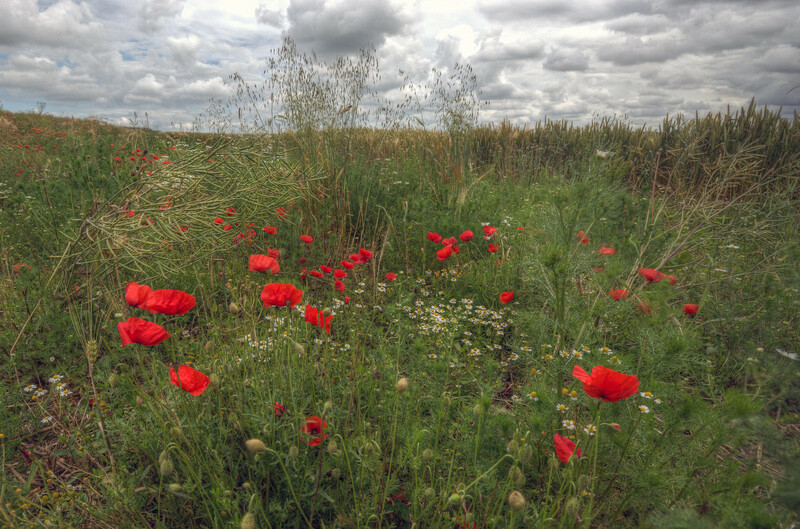 Appropriately, the fields around the crater were full of wild poppies. 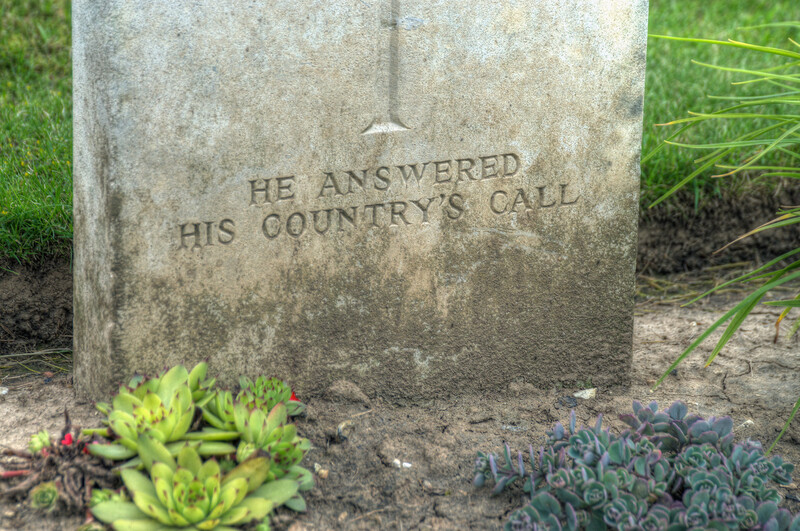 Visitors to the site had also left small wooden crosses with artificial poppies and short inscriptions.